Vestvial is an annual arts and music festival sponsored by the Candoro Arts and Cultural Center. Held on the Candoro Marble Company grounds over Mother’s Day Weekend each year, Vestival provides a diverse cultural and artistic event to the general public. Particular emphasis is placed on serving the citizens of the Vestal community, a community that was once a vibrant industrial community when the Vestal Lumber Company and the Candoro Marble Works were major industrial organizations. Each year, folks from all over the Knoxville area and the Southeast join us to celebrate and honor the rich heritage of Vestal – the South Knoxville neighborhood that is home to the Candoro Arts and Heritage Center – and surrounding communities. It’s not a festival, it’s VESTIVAL! Music, art, food, and more fill the event that is loved by all generations. Proceeds from the event go toward the preservation of the Candoro Arts and Heritage Center and programs that take place at the historic marble building. 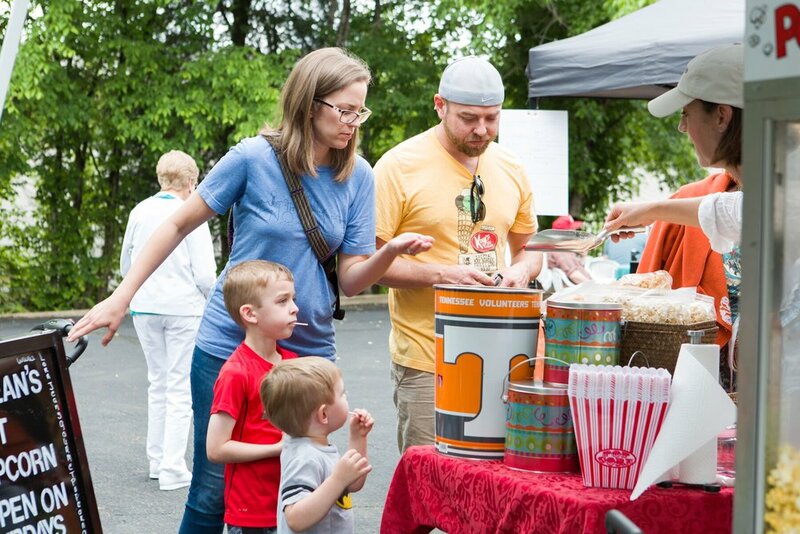 At Vestival you'll enjoy the best food and family fun South Knoxville has to offer! Vestival takes pride in showcasing Knoxville's local artists, food vendors, and crafters. HOW CAN I SUBMIT ART OR PERFORM? Click here to find out more about submitting art for our Vestival Art Reception or performing in our concert line up!